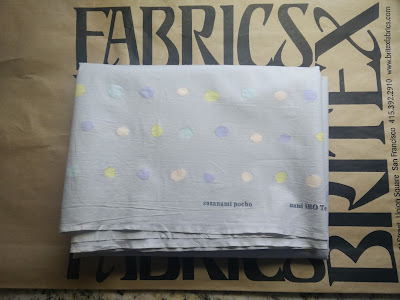 I bought this Nani Iro fabric on a recent trip to Britex in San Francisco. 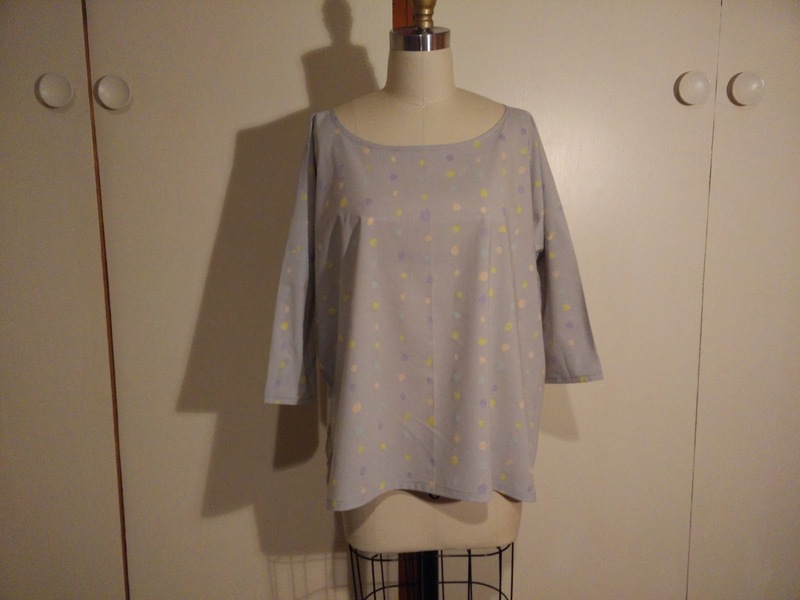 I am loving oversized shapes in my wardrobe this fall, especially with pants and dresses. This top fits that profile. 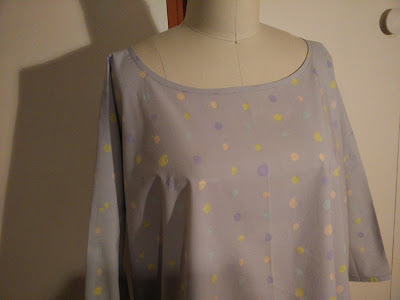 The pattern was from a Japanese pattern book and was super easy to sew up. 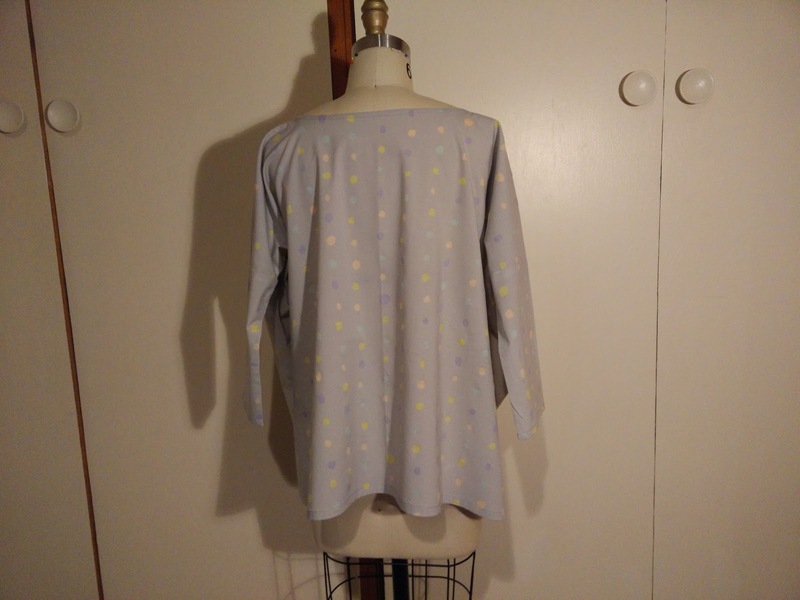 There is some interesting draping going on since there is no shoulder seam and it was just one piece of fabric folded in half with a hole cut out for the neck. 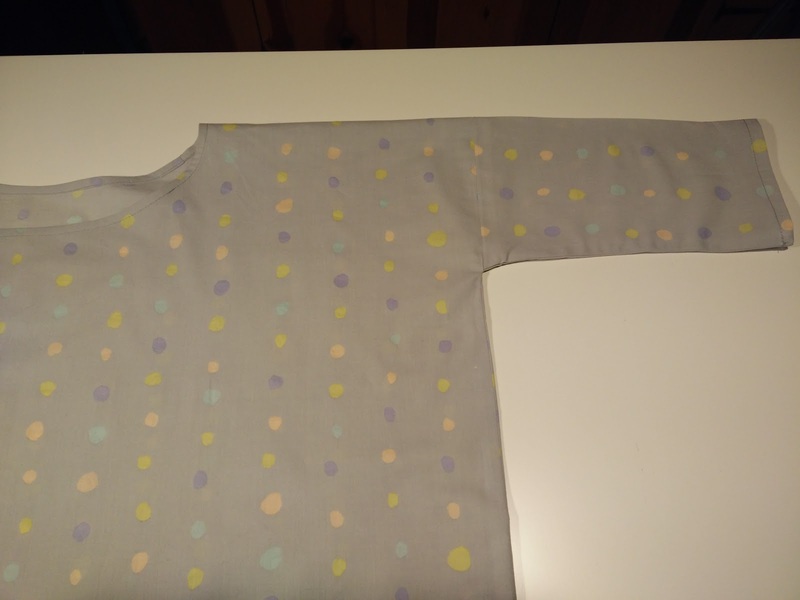 I did have a sewing fail though because I totally forgot to measure the width of the top before sewing it up and ended up having to cut off excess width from both sides and rip out all the sleeve seaming. 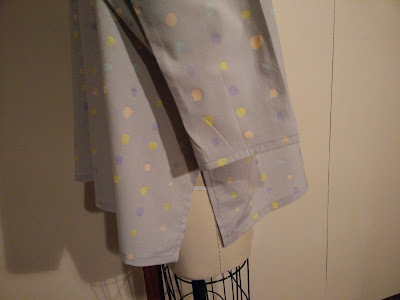 Not easy with serged seams! But it turned out fine. I love the split hem and neon dots. 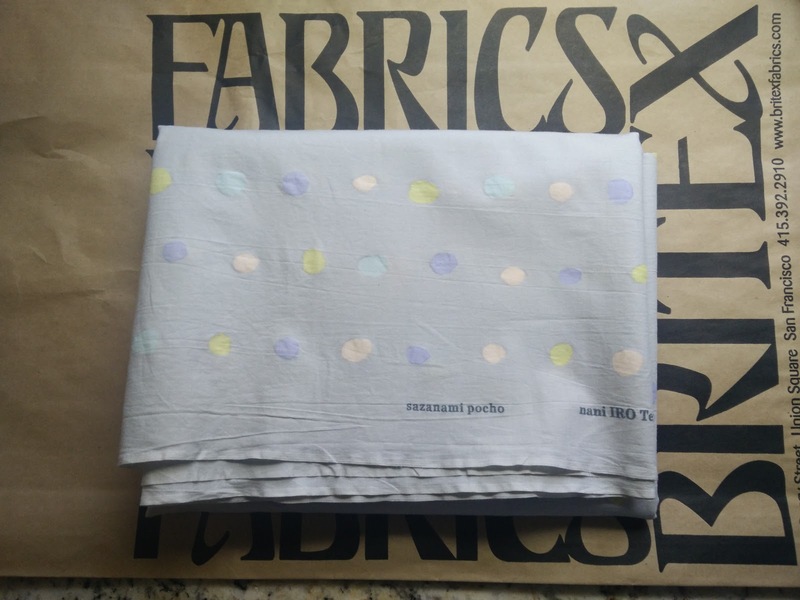 Cute fabric! The shape of the top looks grand, I'm sure you'll wear it tons.